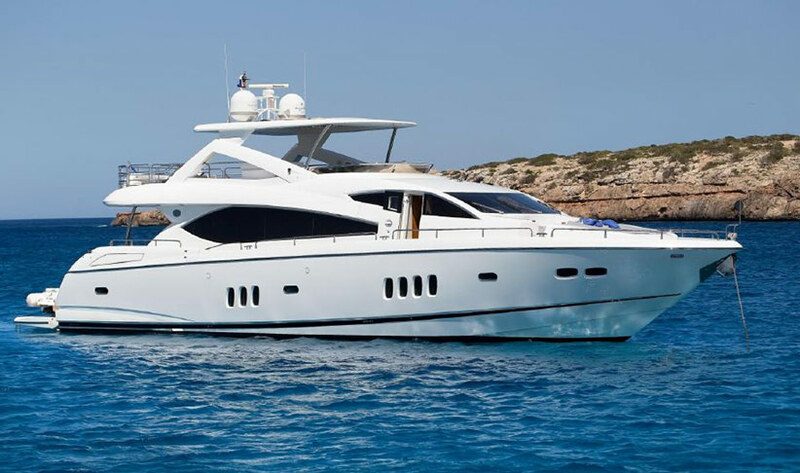 From bow to stern, the Sunseeker superyacht 27m/88 feet offers a seductive combination of style and exclusivity. 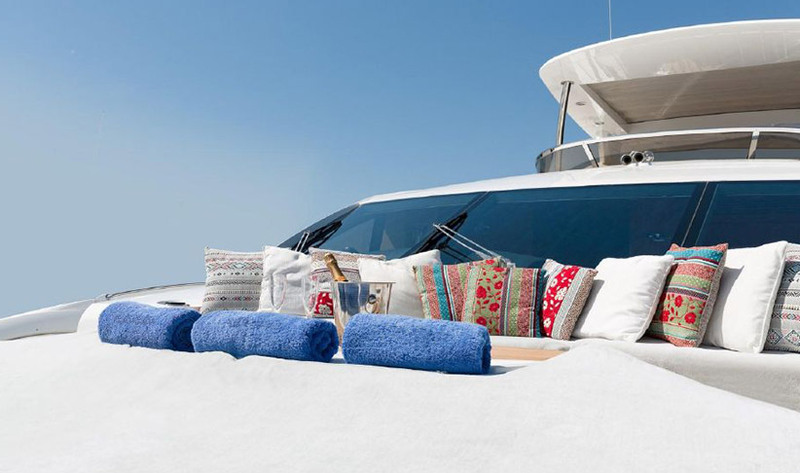 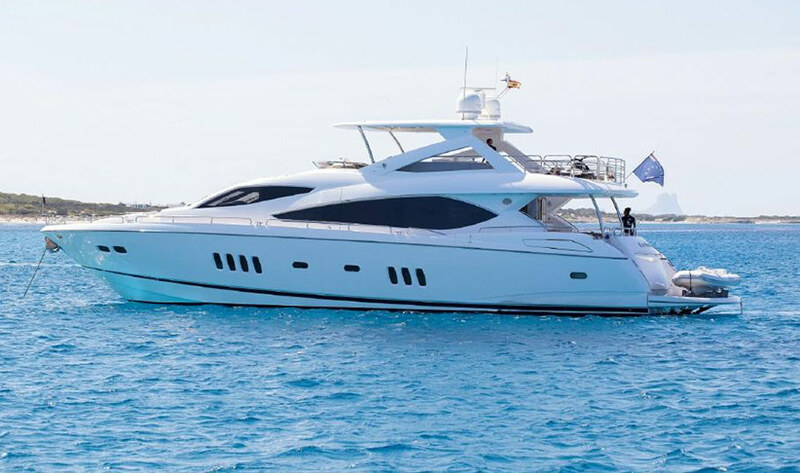 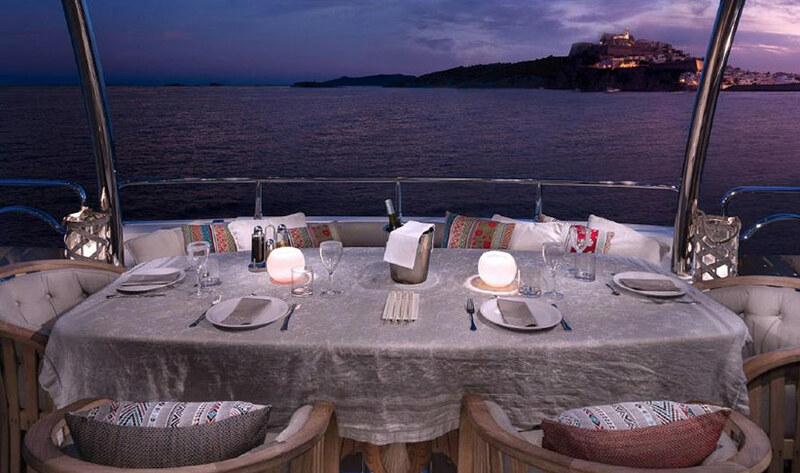 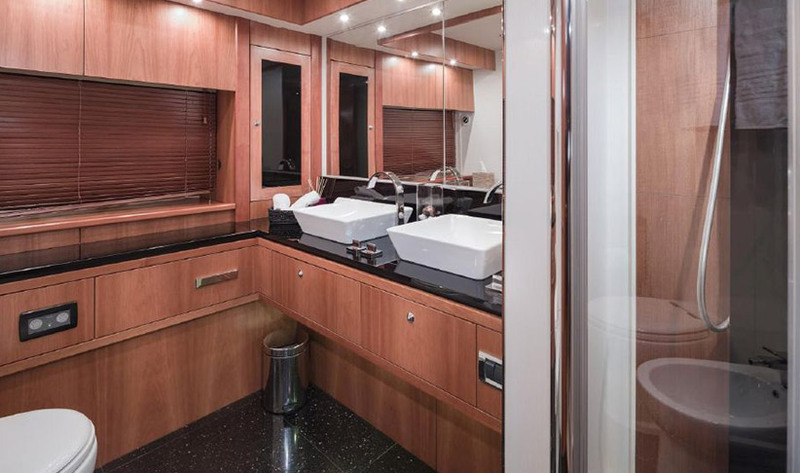 This charter yacht is ideal for nipping across to Formentera and equally comfortable for longer periods to cruise and explore the stunning Balearics and Spanish coastline. 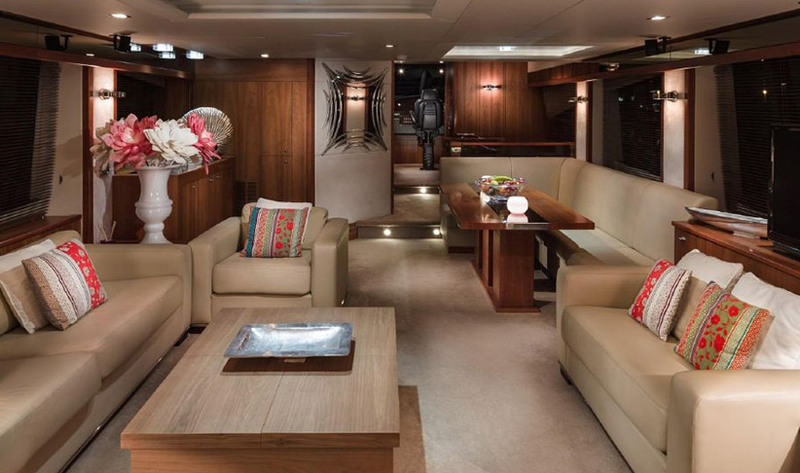 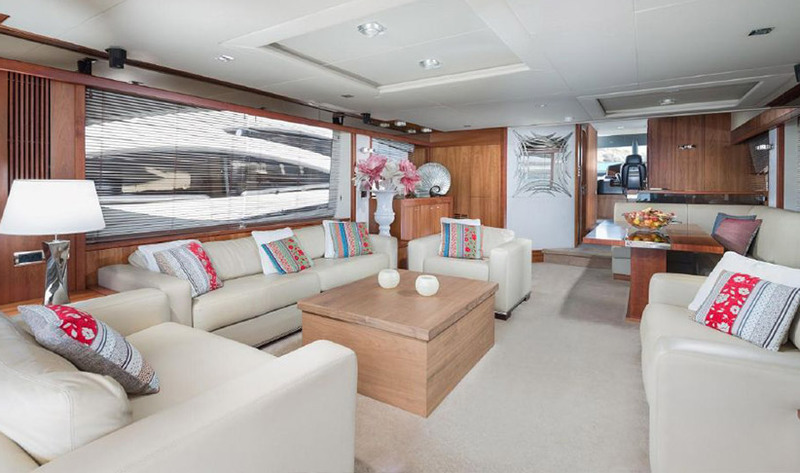 The saloon deck has a large welcoming, open-plan lounge, with a dining area that can be set up al fresco. 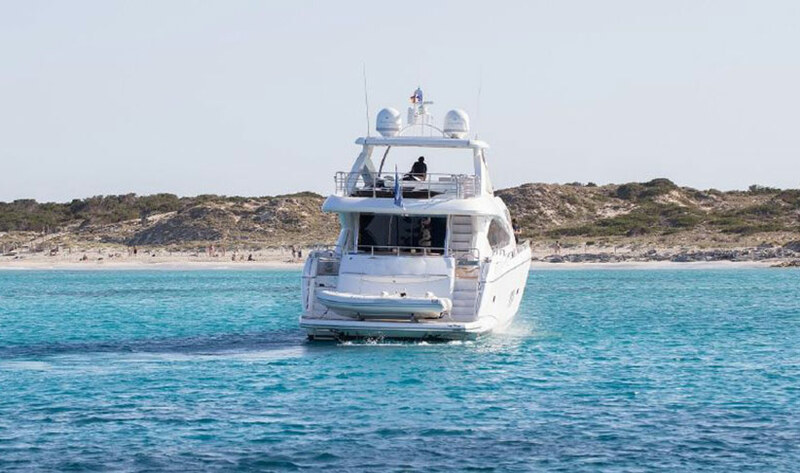 While the large, spacious flybridge provides a unique vantage point for taking in all the sites at Cala Jondal or Illetes in Formentera. 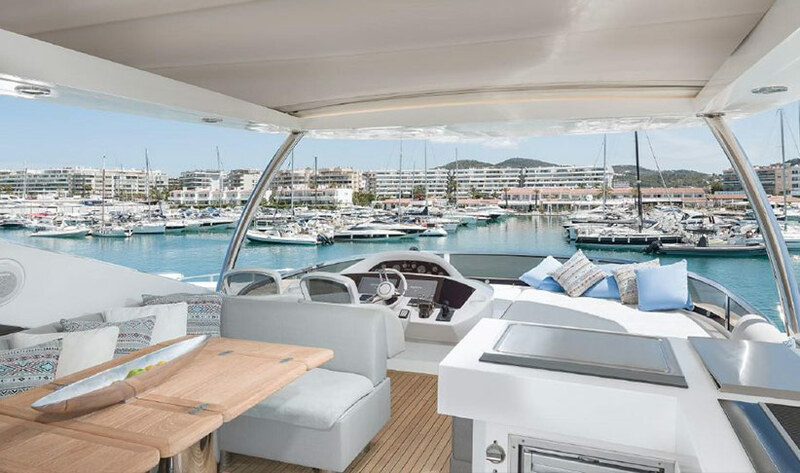 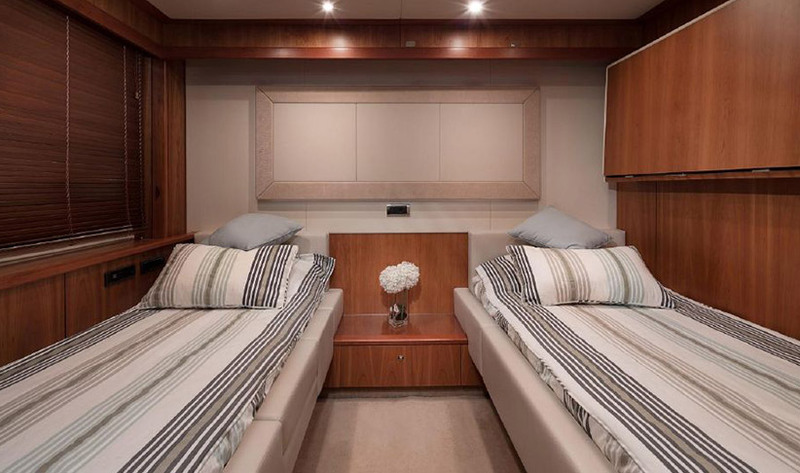 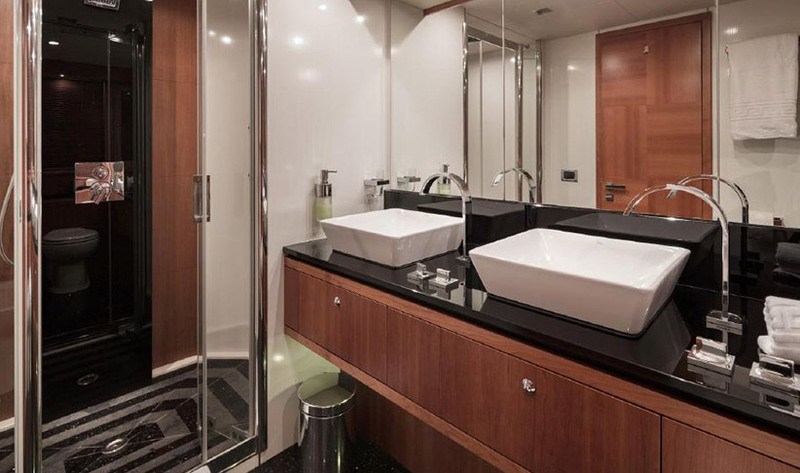 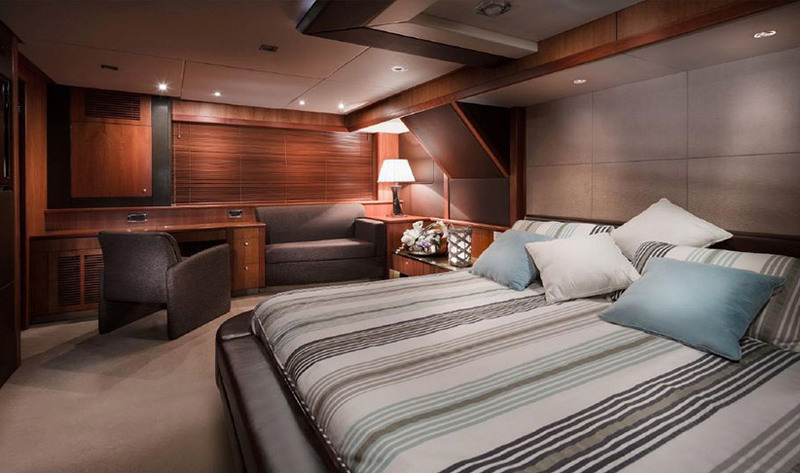 The combination of these two decks along with the seating and sunbathing areas both fore and aft, provide ample space for entertainment and relaxation, whether you are chartering with guests, family, friends or colleagues. 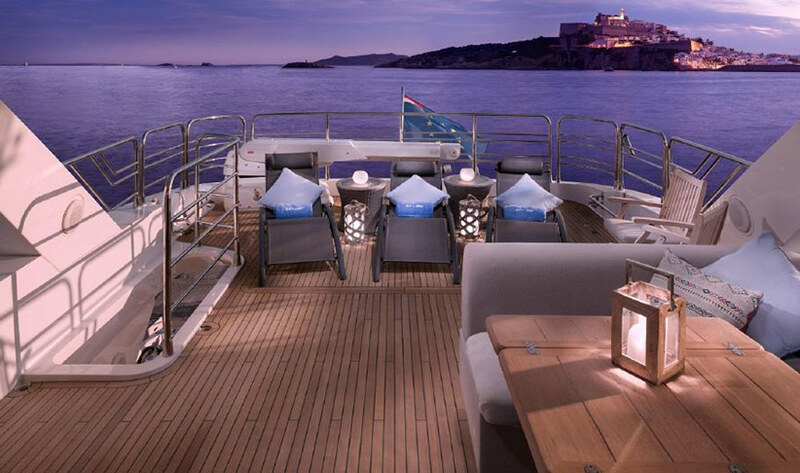 With a top speed of approx. 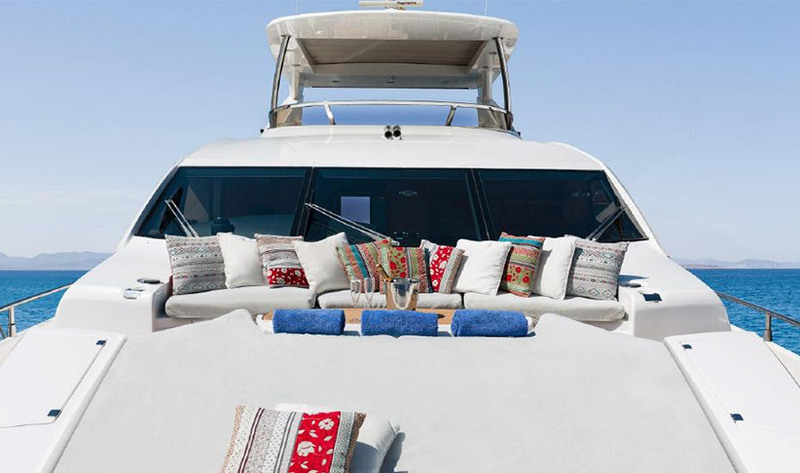 30 knots, it is ideal for experiencing the thrill of an open-air ride. 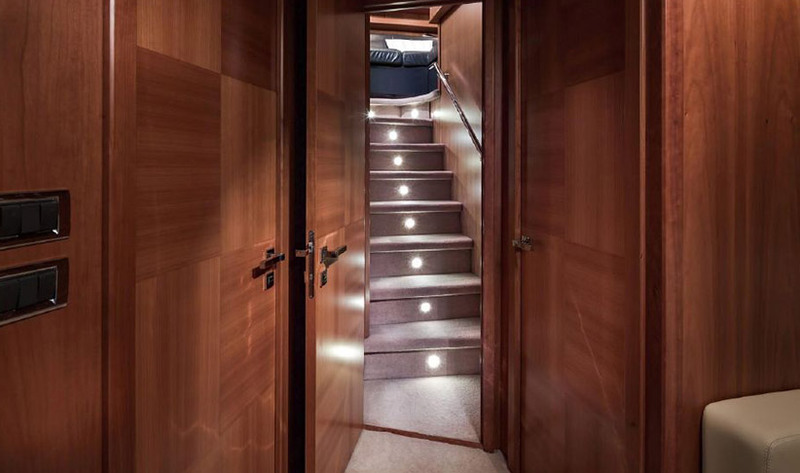 Inside there’s comfortable spacious accommodation with 4 guest cabins. 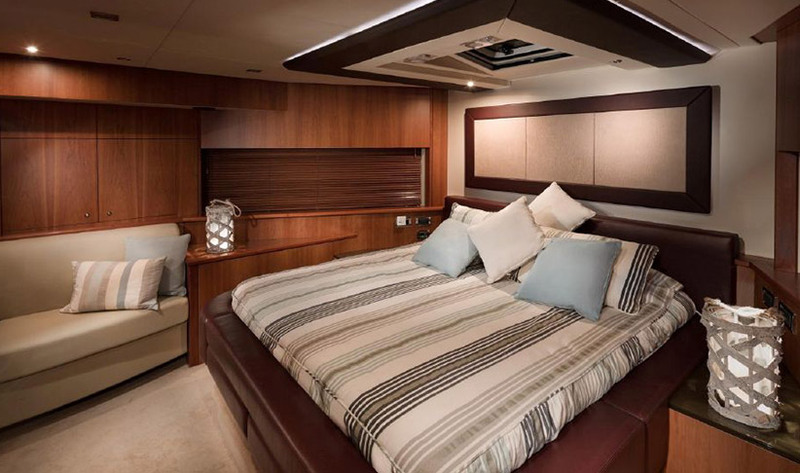 The master suite is situated amidship. 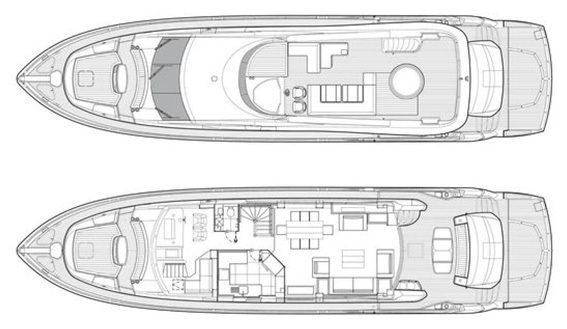 The VIP stateroom forward and there are also two twin/double cabins, one starboard and one port. 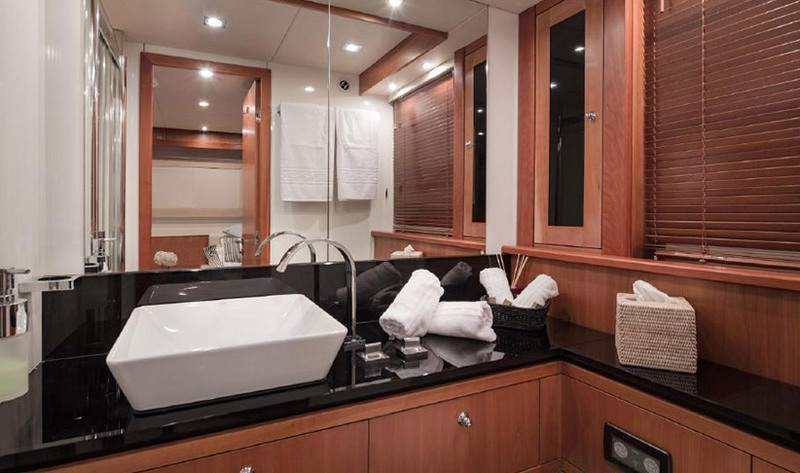 There’s a day capacity of 12 guests, 8 adults (plus 2 kids) overnight and up to 35 when moored.